Do you need pure beef meat & bone meal? Avian blood meal? Porcine meal or another animal product? 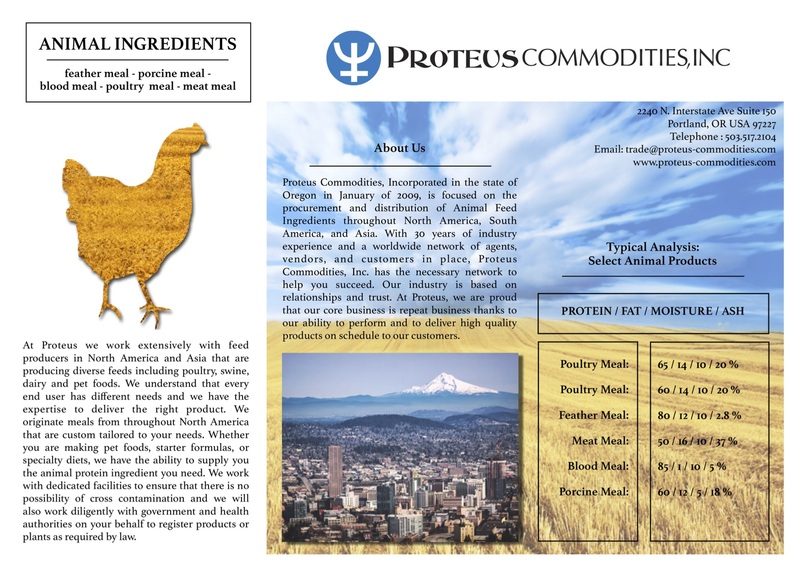 At Proteus, we understand that in today’s environment more than ever, strict quality control, no contamination and no adulteration are key to sound business practices. That is why we only work with reputable, first-class facilities to deliver high quality products while meeting or exceeding the specific needs of our customers. Download our Animal Products Flyer Here.